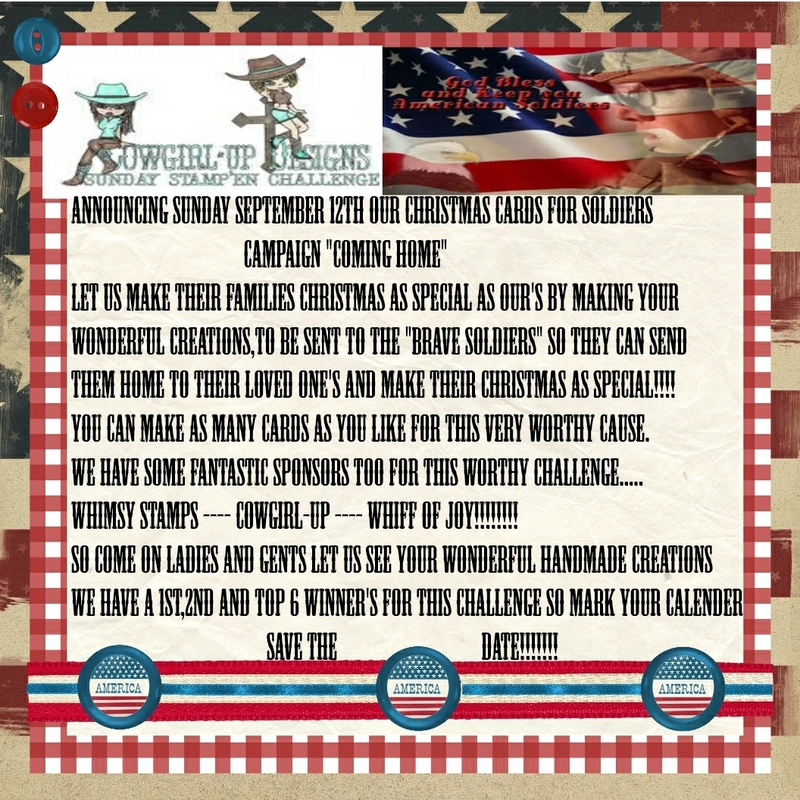 As you can see, over on Cowgirl's Sunday Stamp'en Challenge we are having a 'Christmas Cards for Soldiers' event. We would like you make 1, 2 or 100 cards to send overseas to our soldiers so they can send them back to their loved ones for Christmas. Only 1 rule which is NO GLITTER OR SPARKLES it can come off on clothes and skin and be detected. We will be having a special prize for 1 person and to be in with a chance of winning all we are asking is that you make a post on your blog about the event and place the banner on your sidebar. 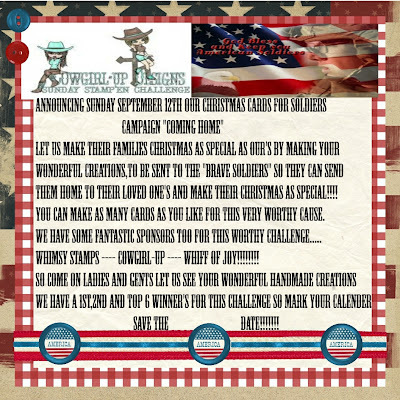 Leave a comment on the Christmas Cards for Soldiers post on the challenge blog and we will hop over and take a look at your blog. We will be having a 1st Prize, 2nd Prize and TOP 6. We will post the address to send your cards to on the challenge post on the 19th September and they will be passed onto the right people for distribution. We hope you will be able to attend this event as we would love to make Christmas special for the people who are overseas and their loved ones at home.